Key Difference: Anything published in printed words — books, magazines — is literature, although the word usually connotes something that has been highly acclaimed and has stood the test of time. Philosophy is a particular literary topic; but unlike literature it's still philosophy if it's only spoken. Literature is about the packaging of ideas and philosophy is about the content of ideas. Philosophy, on the other hand, is almost always theoretical, not fictional, poetical or dramatic. There are instances where genres may conflate, such as in some fictional works by Voltaire, Jean-Jacques Rousseau, Jean-Paul Sartre and Albert Camus, and others. Philosophy uses fictitious character, plot, setting, and poetic trope in a less central way. It's easier to think of philosophy without plot or character or metaphor than it is to think of fiction or poetry. Philosophy has more often aspired to formulating general truths and doing so through modes of argumentation, while other forms of fiction exhibit them in other ways and, anyway, attend more to the particular. Philosophy orbits around a defining set of topics: forms, substance, essence, the nature of truth, the best life. 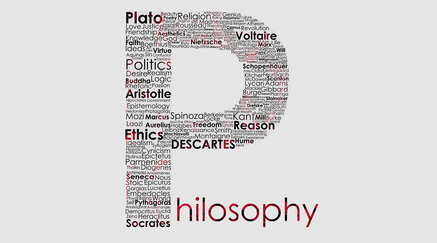 Philosophy also calls upon a specific history and set of seminal authors--Plato, Aristotle, Heraclitus, Parmenides, Aquinas, Kant, Nietzsche, Wittgenstein, Heidegger--authors not central to other forms of literature. As David said, literature generally means anything published in printed words, a definition which encompasses philosophy (e.g. “the literature on Kant”, “the philosophical literature discusses the topic of idealism” etc.). However, the term is most commonly applied to fiction, poetry and theatre (amongst other less common genres). Philosophy and literature differ quite significantly. Philosophy is centrally concerned with truth and argument, with justification and the presentation of reasons. These are not central concerns of literature. It is plausible that fiction is the core of literature--there's literature outside the sphere of fiction, but fiction is the central case. And philosophy, although it may involve the use of fiction (in the Platonic dialogues or in the development of complicated thought experiments), is not centrally a matter of making fictions. Finally, even though cognitive value is important in both philosophy and literature, it seems much more important in philosophy. 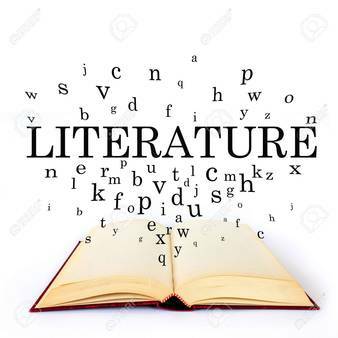 The key difference between philosophy and literature is that the philosophy mainly concerns theoretical concepts whereas the literature mainly concerns fiction. Although philosophy and literature are two different fields, the boundaries between them blur when you study a book that has philosophical touch. For example, you may study works of authors like Voltaire, Rousseau or Sartre for literature; but since the content of these works is philosophical, the study of these work is also related to philosophy. Theoretical Concepts are the main areas which concern philosophy. Fiction is the main area of concern in literature. Philosophy is the study of knowledge. Literature is the study of written work.